Buying a family tent isn’t easy these days. There are many options out there, and not all of them can fully satisfy your needs. Therefore, you should conduct research and determine the characteristics that the best family tent should provide you with. After initial research, you can start evaluating the features of each available options and determine if these are able to provide what you want before deciding which to buy. What Makes a Family Tent Great? First, a good tent must be able to provide ample interior space and headroom since these make the occupants feel more comfortable while camping outdoors. Second, a good family tent should be well-ventilated and free from unwanted odors. Third, the tent must be waterproofed, preventing water from getting into the sleeping areas. Finally, the ideal family tent should be easy to assemble and take down again. By considering the above-mentioned features, any buyer can now easily assess the features of family tent that they come across and determine if it’s one of the best. See the below comparison table to understand easily what is the best tent for you from our best family tents list. You can find out your favorite from this comparison table. The Ozark Trail 10-Person 3-Room XL Family Cabin Tent is a family camping tent that can accommodate up to 10 sleepers or three queen-sized mattresses and a spare room. It comes with a durable divider and can be divided into three rooms for privacy. The product has three doors found on the center panel and the sides. All of these can be separately used for entrance and exit purposes. The tent also features six windows that keep it well-ventilated. These allow the occupants to have a panoramic view of the camp site. For protection against rain, the tent is equipped with taped fly seams that prevent water leakage and rain from entering. Its floor is also waterproof and designed to protect occupants from harmful elements. It can be easily assembled and disassembled since it comes with pre-assembled poles. The Ozark Trail 10-Person 3-Room XL Family Cabin Tent is a best family camping tent that can accommodate up to 10 occupants. Because it’s waterproof and well-ventilated. And it also features a divider, 6 windows and 3 doors. If you have a small family and are looking for a tent from many best family tents, you are in right position. Because Coleman 4 Person Instant Tent is a perfect family tent for you. It will gives you maximum output with minimum cost and Coleman access is very easy also. This Coleman tent is perfect for 4 person, so you, your wife with kids can easily use this family camping tent for your next family camping. Easy setup and take down is a major pro for this tent. Its two interior pockets allow one to store their small items. 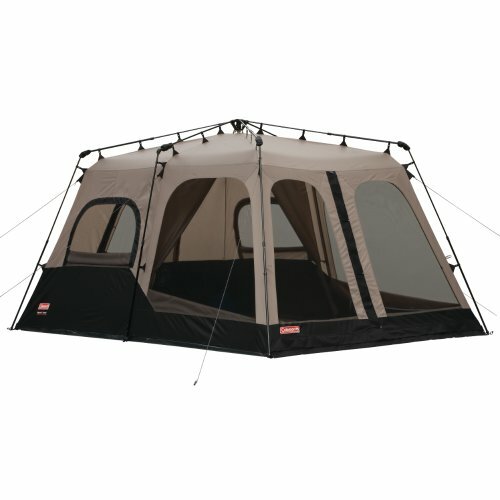 This tent has 3 large windows allow for proper ventilation of the tent. It’s very spacious interior which can fit a queen-sized airbed. The tent has is tapped all over thus one doesn’t have to have a rain fly which is an added cost. Its vents on top do not seal very well in the rain. If you are looking for a best family tent with maximum privacy, you need the The Kelty 4 Person Tent for your camping life. Because this is really an awesome tent. The Coleman 8-Person Instant Tent is a multi-award winning family camping tent. Its floor area is good for 8 people or two queen-sized beds. The product is made of heavy-duty and thick fabric. 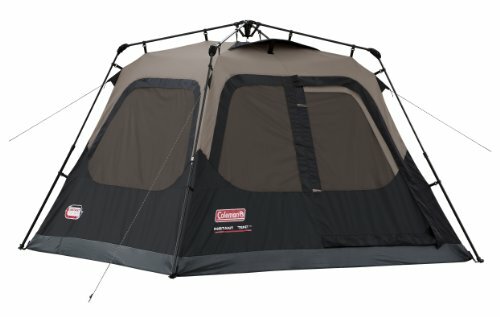 Also it comes with the Coleman’s Weathertec system that keeps the tent dry inside even in the midst of rough weather. So without any question we can say it’s a perfect and best tent. The system comes with the patented welded floor and inverted seams that keep the water out. Finally, the tent also features a user-friendly setting-up mechanism so that it can be fully erected by hand. And so in conclusion, we can say it’s a fantastic tent. Well ventilated and comes with 2 doors and 7 windows. Opting for the Coleman 8-Person Instant Tent is a good idea since it’s made of heavy-duty fabric that can withstand the challenges of outdoor conditions. It offers a large and comfortable interior. And also it is fully-waterproofed and backed by a one-year warranty. The Wenzel Blue Ridge 2 Room 7 Person Tent is a family camping tent which is made of waterproof and fire-retardant polyester that offers an ample amount of interior space for up to 7 people. It can be divided into two rooms using the zipped divider included in the product’s package. Aside from its size, the product is praised for its durability. When fully erected, the tent becomes very stable. Such stability is made possible by the shock-corded and sturdy multi-diameter poles made of fiberglass. The tent also comes with a welded polyethylene floor which is durable enough to withstand years of continuous use, and is blessed with a large door located on its side which serves as its sole entrance and exit point. Aside from that, the product also comes with a fly rod which helps prevent water from entering the tent’s door and windows by providing a protective awning. The awning is responsible for allowing the windows and door to be left opened during rain, and this minimizes condensation inside the tent. So its a good and perfect tent. Has few windows and lacks additional door. The Wenzel Blue Ridge 2 Room Seven Person Tent is a best family tent option since it has a durable floor, is fire-retardant, waterproof and offers ample interior space for up to 7 people. Its assembly and disassembly is also convenient. As a result, you can buy this tent if you have low budget with maximum need. If you think about the individual features of above each products discussed in this best family tents list and then you can trust these are the best family tents models that are currently available. Each has the necessary features expected from a quality family tent. And however, the features of one particular product make it stand out from the others. Of the above five products reviewed, the Ozark Trail 10-Person 3-Room XL Family Cabin Tent is the recommended choice. It’s ideal for up to 10 people, can accommodate 3 queen-sized beds and comes with three rooms. Additionally, it’s equipped with 3 doors. And 6 windows that keep it well-ventilated. The tent is made of waterproof materials and can be easily assembled and disassembled. But if you are in a small family, you must buy Coleman 4 person instant tent as your choice of best family tents list. As a result, in this article, we have tried to find out most of all best tents, especially relevant of best family camp camping tents. Also here is another summary in addition we have added finally, that may help you. 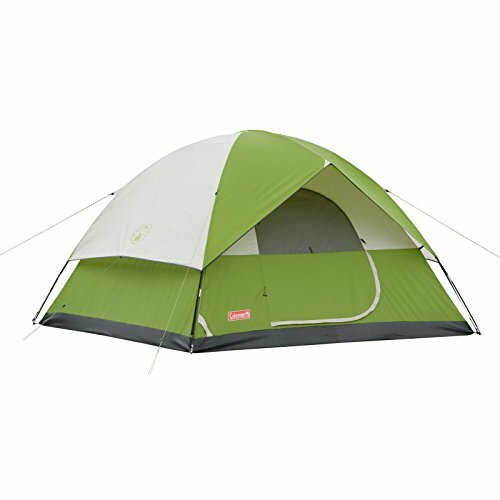 Coleman 4 Person Instant Tent is the second recommended choice from our Top Family Tents list. 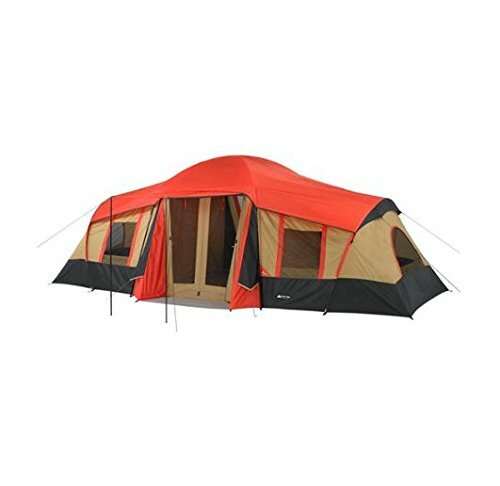 The tent can accommodate up to 4 people but is perfect for a small family or team. It provides an adequate amount of ventilation, made possible by having 1 door and 3 windows. Setting up the tent is easy and can be completed without any tools; it can be setup in less than a minute. This Coleman 4 person instant tent product is also waterproof and fire-retardant. Kelty Acadia 4 Person Tent comes in third place. It has a smaller interior space which is suitable for 4 people. The tent is fully waterproofed and fire-retardant. It can be easily assembled and is equipped with mesh elements for adequate ventilation. Coleman 8-Person Instant Tent is the fourth best option with its 8-person capacity and many people love this tent as best family tents. Fully-waterproofed construction and an user-friendly assembling mechanism. It is a well-ventilated option. Equipped with Coleman’s excellent WeatherTec System. The 2 doors and 7 windows also contribute to the airflow. And allowing cooler air to enter while gradually filtering out the warmer air. Finally, the Wenzel Blue Ridge 2 Room Seven Person Tent secures the fifth best spot and it has the smallest interior space of the 5 models reviewed and is suited to 7 people. Despite its small size and it remains one of the best camping tents. This is best and also is waterproof. Wenzel is perfect and fire-retardant. Regarding ventilation, the Wenzel performs ineffectively as it has fewer doors and windows. The assembly process is not so straightforward. As the tent is sold with many multicolored poles that can be confusing. New campers face this situation to purchase best family tents. But you don’t worry. Because it’s not a big problem and the Coleman is the solution for you. 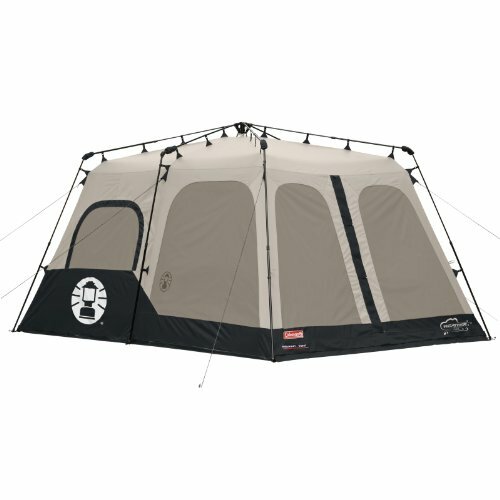 In this Coleman tent you will get instant setup and heavy materials. Easy access and much more features. So without hesitation just go and buy Coleman anyone tent to enjoy your camping. Yes, Coleman brand provides best family tents since many years. As a result, that’s why I use this brand’s tent and feel comfort. So if you want really a best and perfect tent, you can go with Coleman. 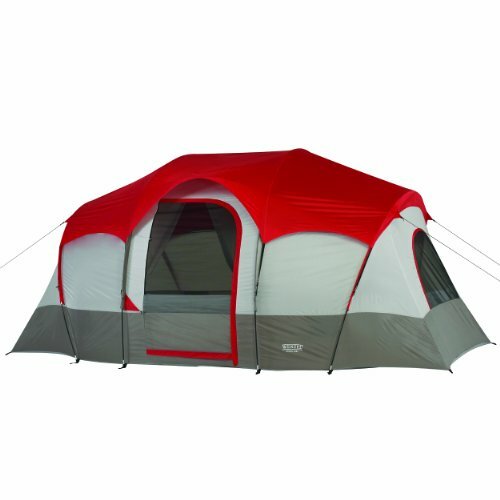 In our best family tent list, there are 2 best Coleman tent and also there is anyone Coleman Red Canyon tent available. If you love colorful and instant tent, then you can see Coleman Red Canyon tent. So I can bet, there is no alternate of Coleman and of course it’s the best family tent in the world. 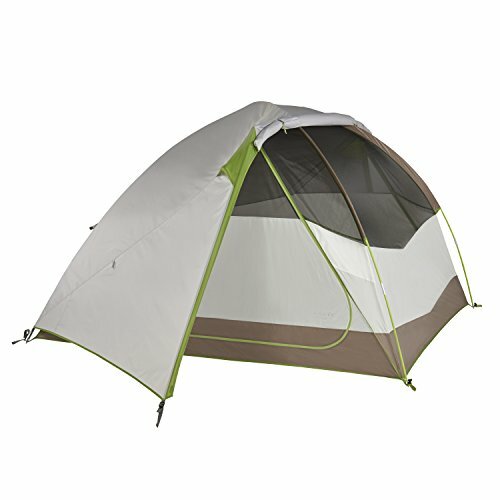 As a result, you can rely on this tent and can purchase for your next camping trip. But if you want to know more tent, you can check below few more popular best family tents and enjoy. That is really good.